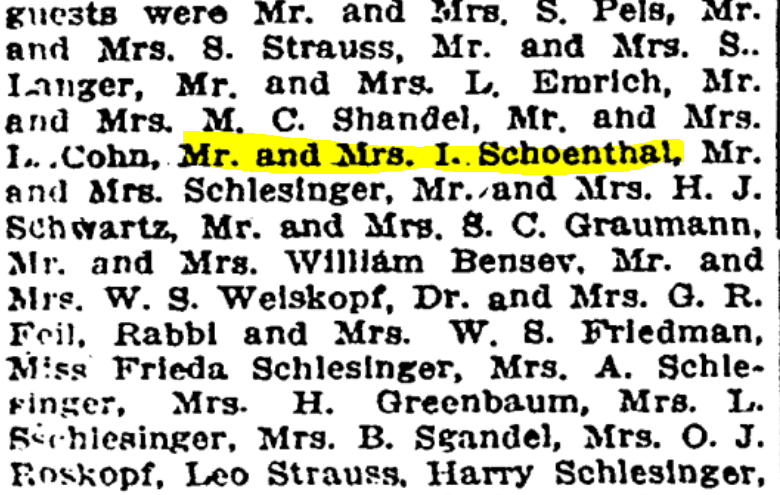 Breine Mansbach, my great-grandmother’s first cousin, was the oldest child of Sarah Goldschmidt and Abraham Mansbach and the only one who did not immigrate to the United States with her siblings and her parents. 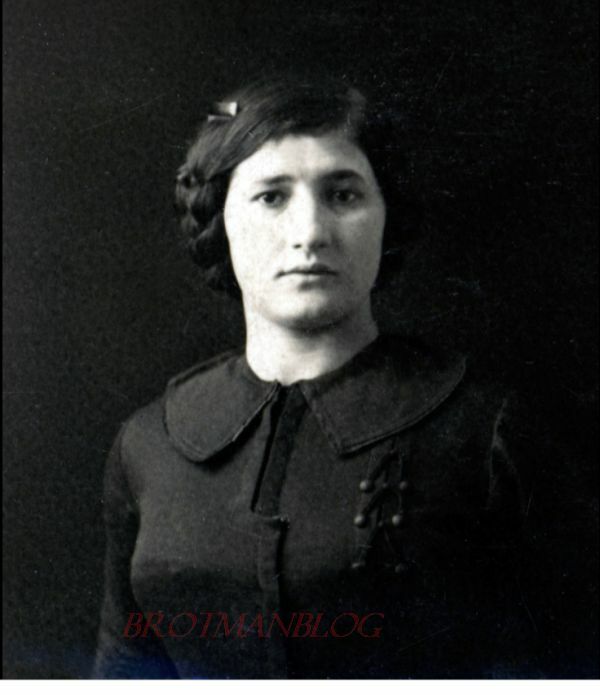 But all but one of her children did immigrate, and this post and the two that follow will tell their story. 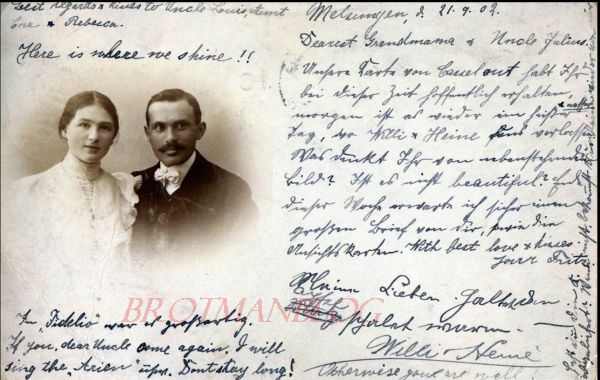 Siegmund was born on July 20, 1877, and died before his fifth birthday on January 24, 1882 in Malsfeld, Germany, where the family was then living. 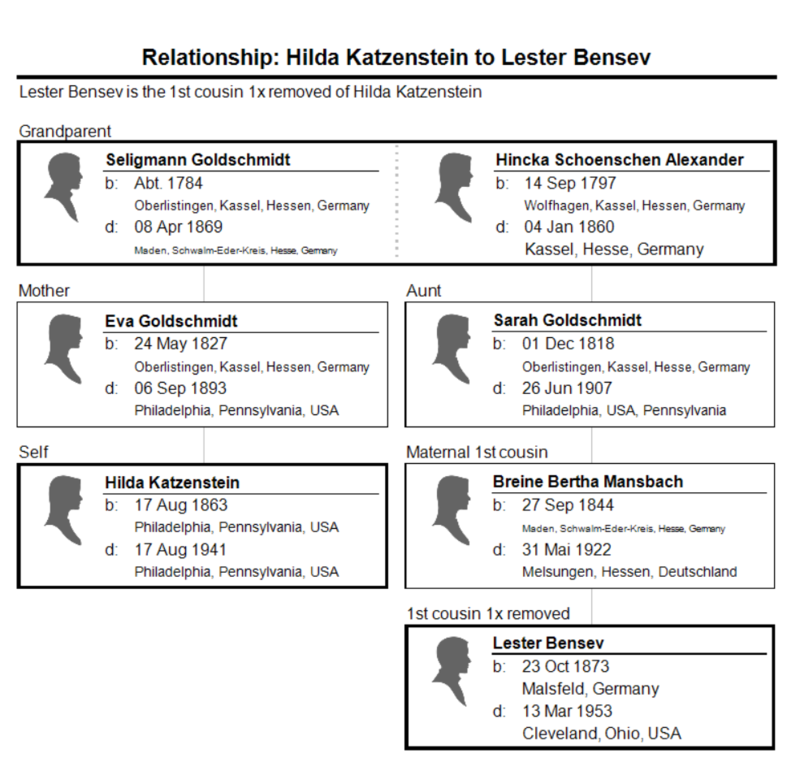 The other seven children all survived to adulthood and all but Roschen immigrated to and settled in the US, though Roschen also may have traveled to the US before marrying and having a family back in Germany, as we will see below. 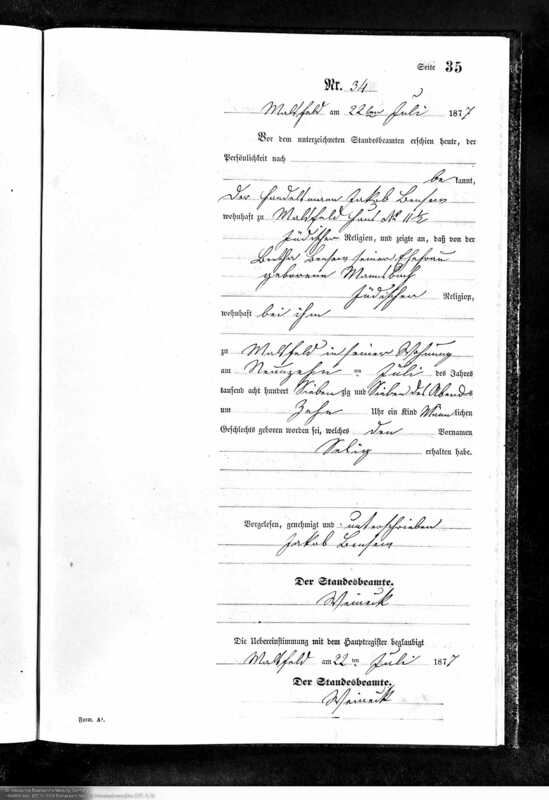 Roschen, Lester, and Julius seem to have traveled together to the US with a departure from Hamburg on May 15, 1890. 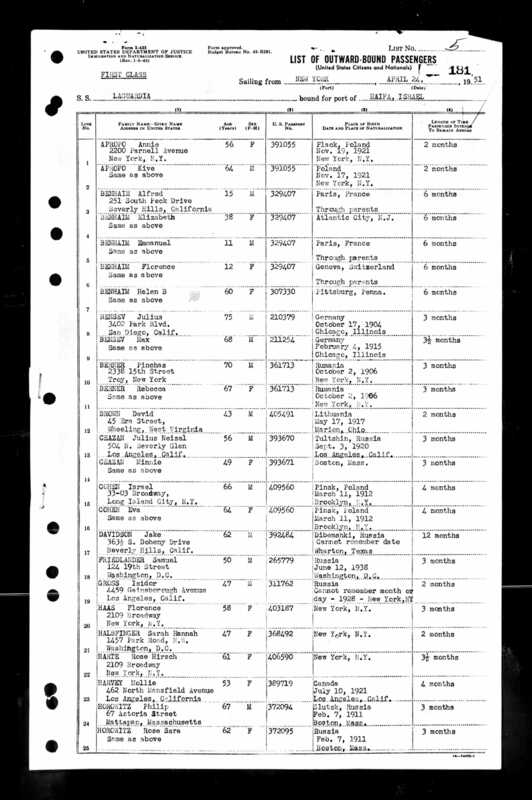 The manifest lists three Bensews traveling together, all from Melsungen, Germany, a 20-year old woman named Rosa, a 16 year old boy named Lasser, and a 14 year old girl named “Juls.” Both Lasser and Juls are identified as “Kaufmann” or merchant. 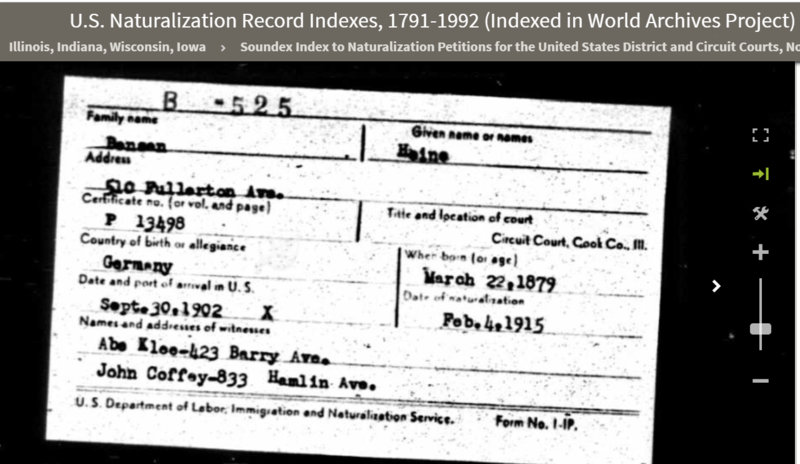 I would think that Lasser was Lester, as Lester was born October 23, 18732 and would have been 16 in May 1890. 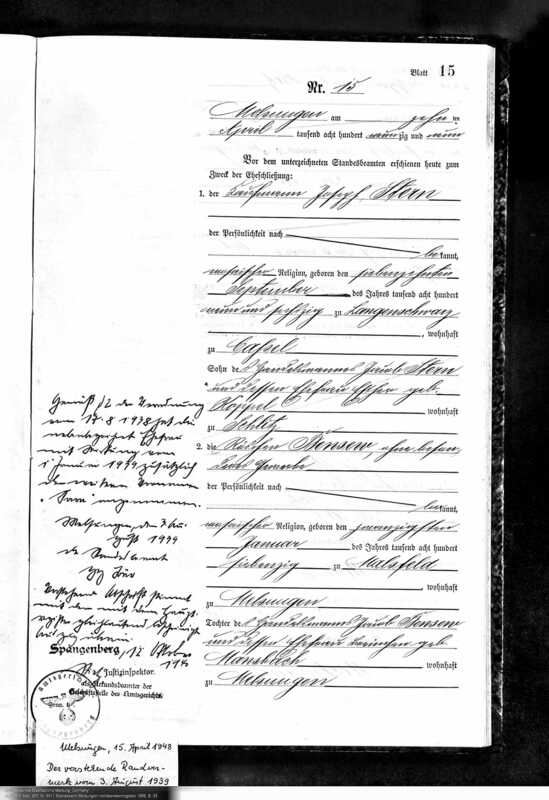 And I also think that “Juls” was Julius, who would have been 14 in May 1890 as he was born on September 13, 1875;3 since Juls is identified as a Kaufmann—a male noun—I think the gender identification as weiblich (female) was a scrivener’s error. 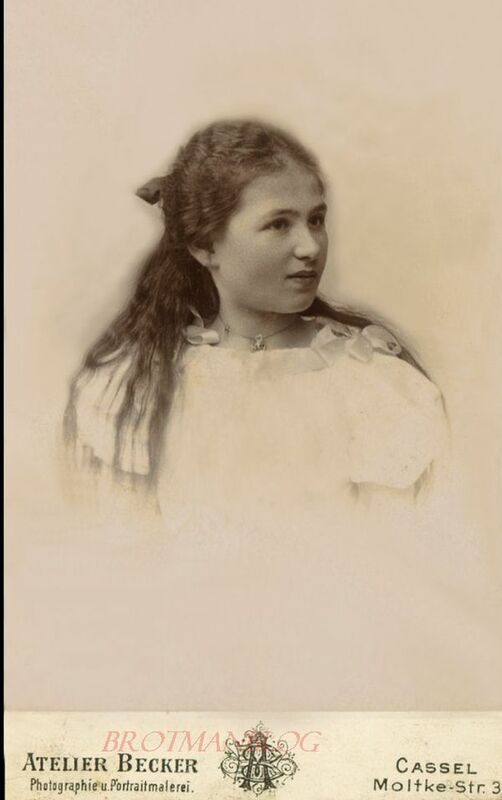 As for Rosa, Roschen was born on January 20, 1870,4 so would have been twenty in May 1890, the age given for Rosa on the manifest. 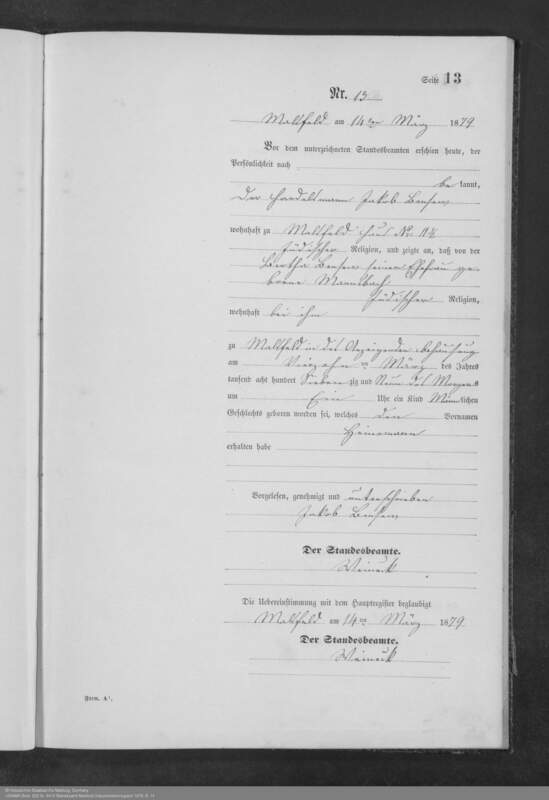 So perhaps that was their big sister Roschen bringing them to America, but I have no later records for her in the US. 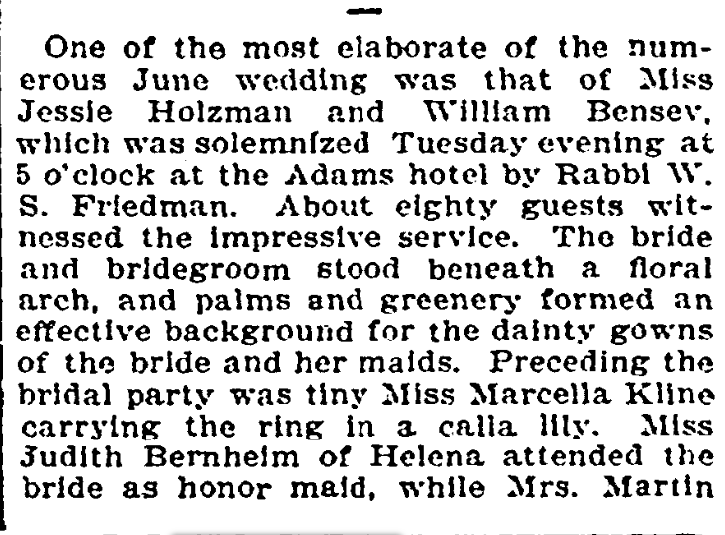 And Roschen definitely married and raised her children in Germany, as we will see. 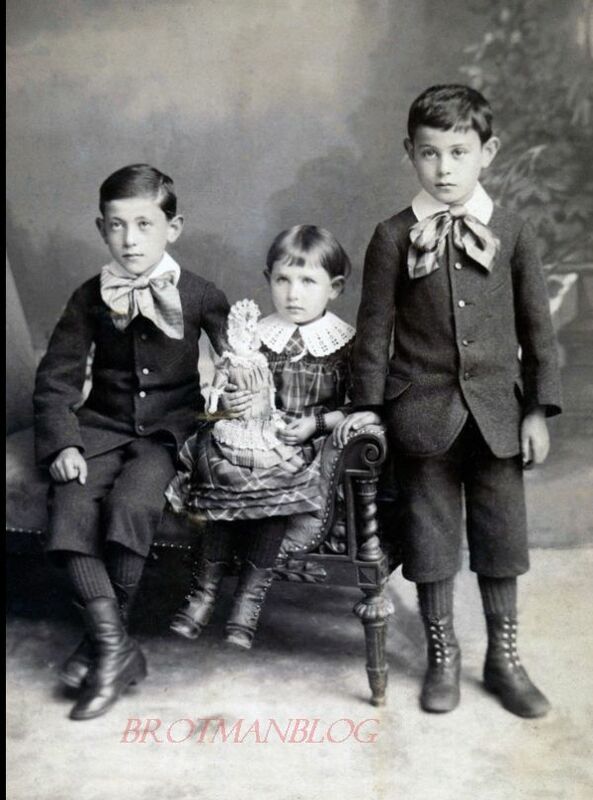 Thus, the three oldest Bensew brothers, William, Lester, and Julius, all left home as young teenagers. 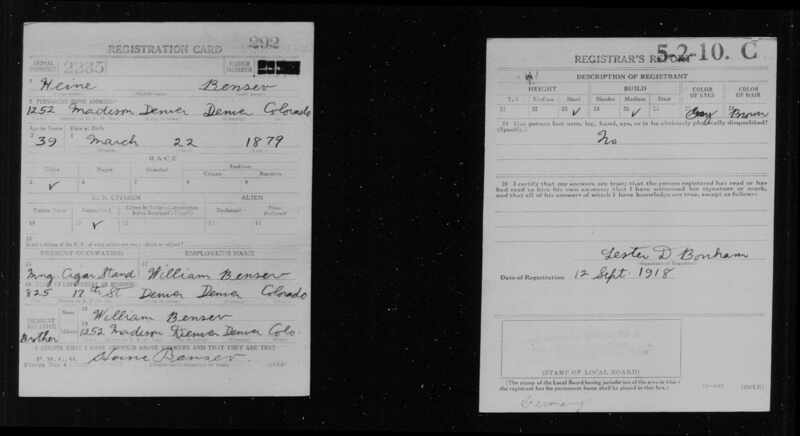 In America they changed the spelling of their name to Bensev—presumably to preserve the German pronunciation of their name. 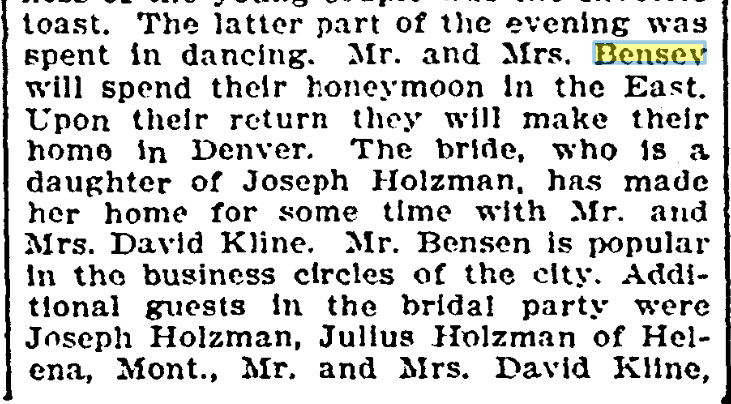 Otherwise, they would have been called Ben-SOO. 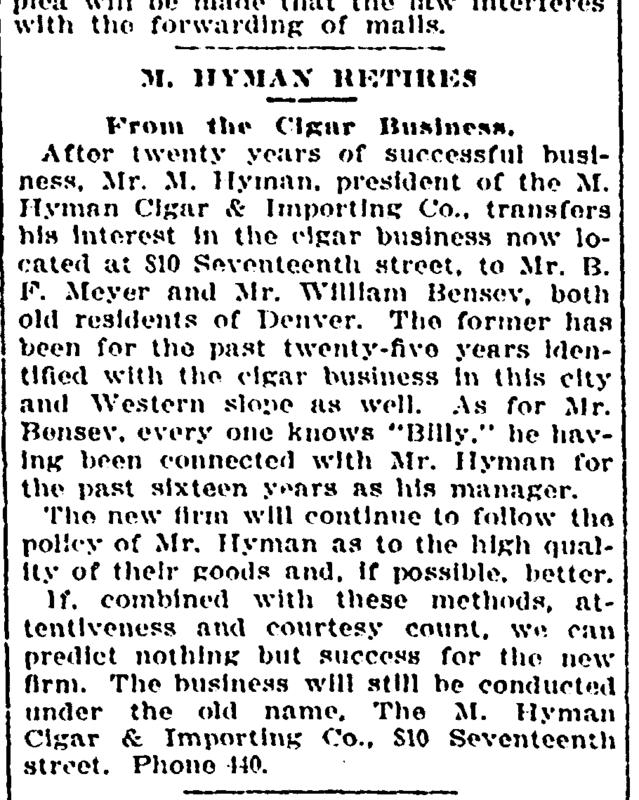 In 1890, William was already living in Denver.5 By 1894, he was joined by his younger brother Julius, and both were clerks for the M. Hyman Cigar Company,6 as they were in 1898 as well. 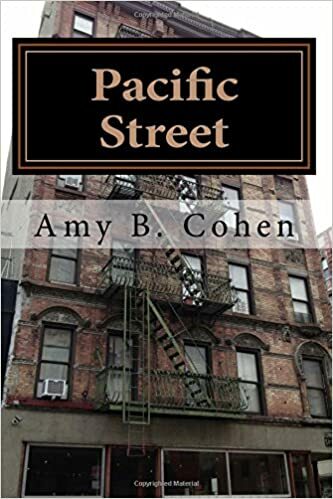 They were living at 615 24th Street with their aunt Amelia Mansbach and her husband Henry Langer. 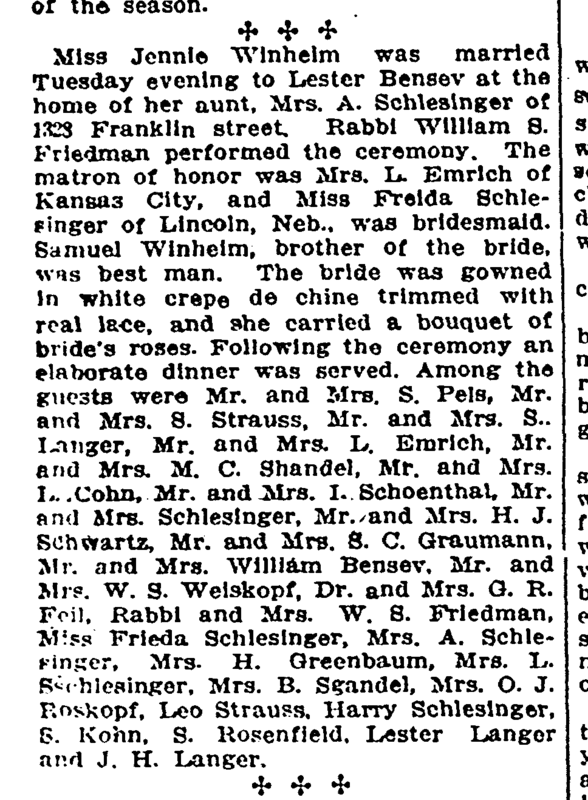 In 1900, William was still in Denver, living with the Langers and working as a cigar salesman. 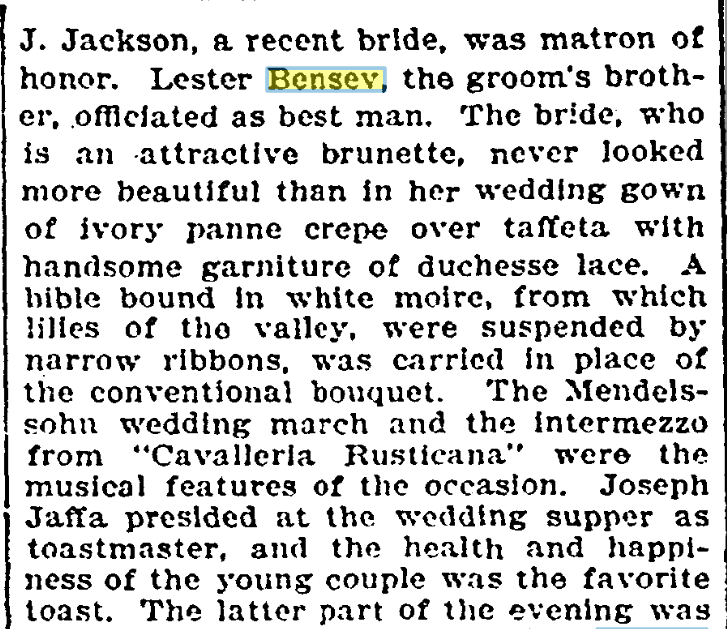 As for Lester, he was living in Philadelphia in 1896,8 working as a salesman. 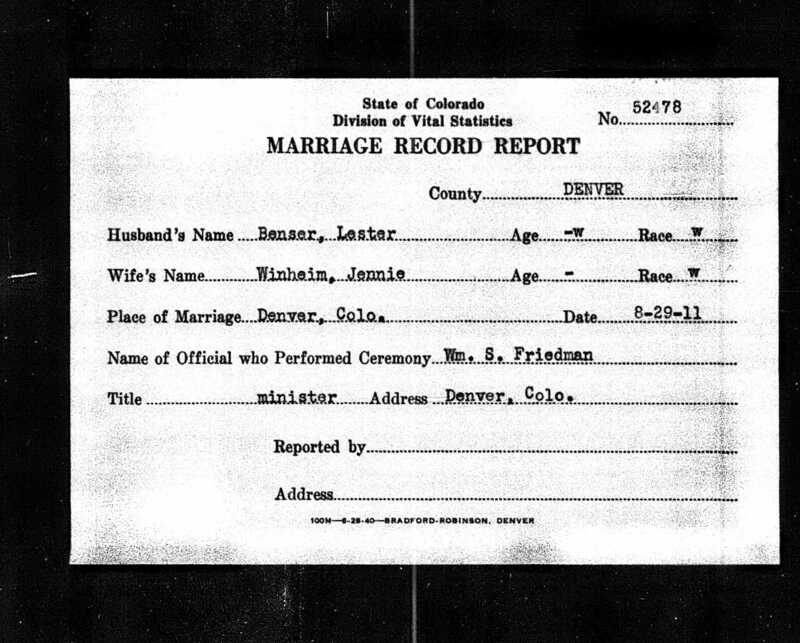 But after Julius left Denver for Pennsylvania, Lester left Pennsylvania for Denver. 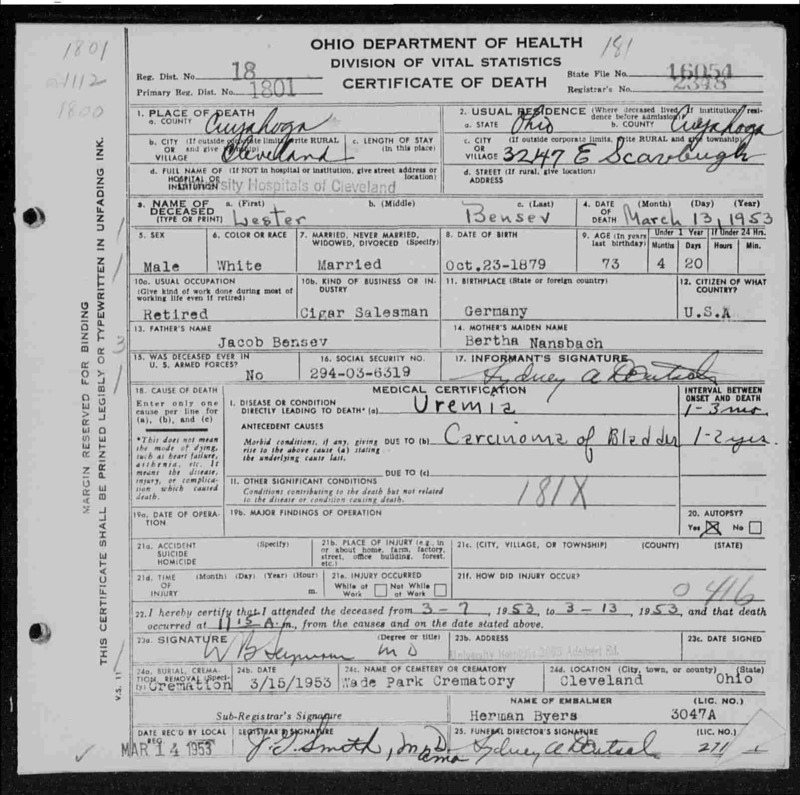 He came for a visit in 1899, and in 1902 he was living with his brother William and the Langer family and working as a manager for M. Hyman Cigar Company with his brother William, who was the secretary of the company. 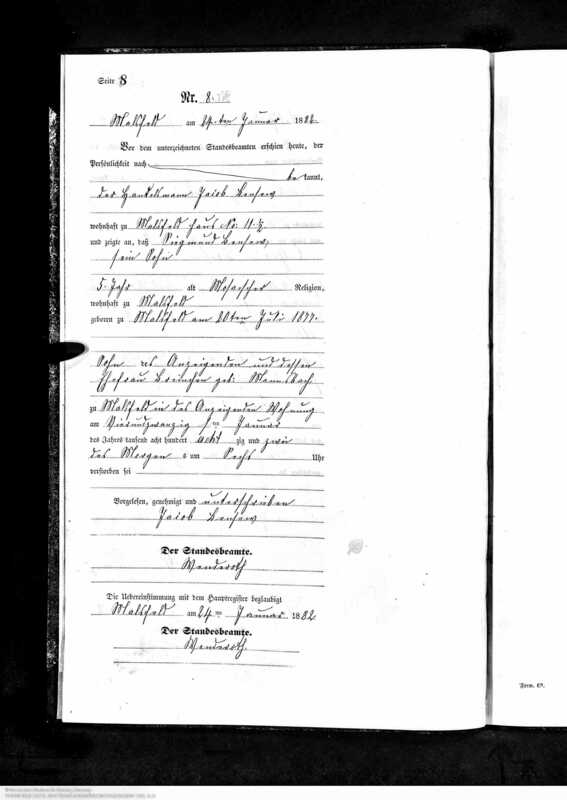 Frieda Bensew, who was born February 21, 1886, in Melsungen,12 followed her older brothers to America four years later; she arrived on November 25, 1907. 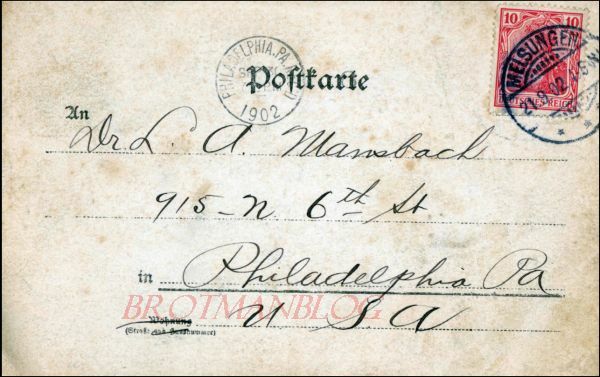 On the manifest she listed that she, like Max, was going to her uncle, Julius Mansbach, in Philadelphia.13 In January, 1908, she visited her brother William in Denver. 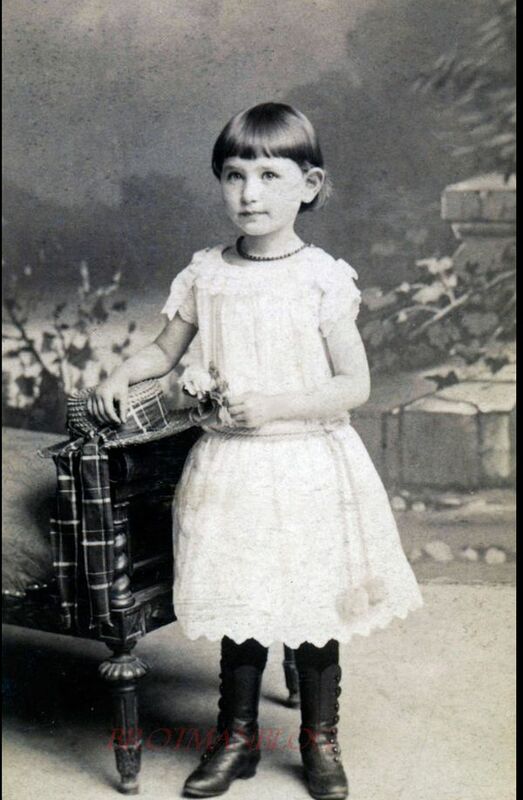 On May 8, 1900, Roschen gave birth to her first child, Alfred Stern, in Kassel. 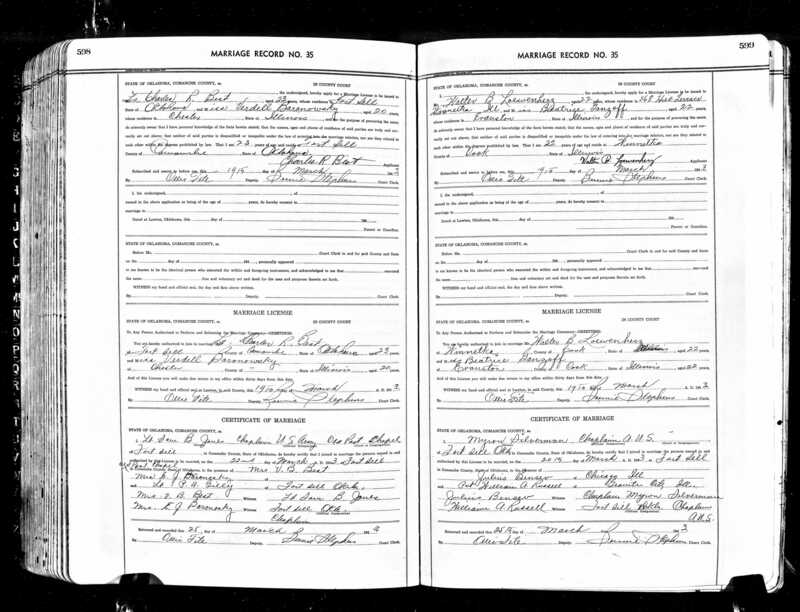 18 According to US records, Roschen and Joseph had a second son Edwin on January 6, 1905.19 Some family trees have three other children born to Roschen and Joseph Stern, but I have not yet been able to verify that information. 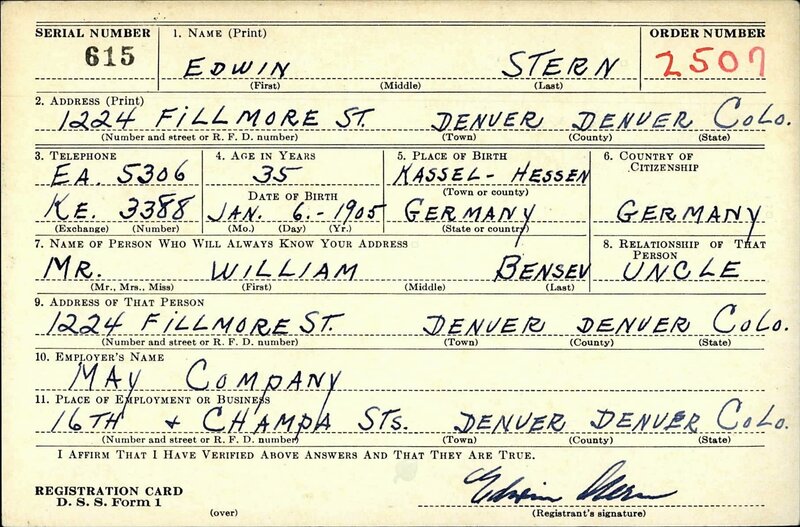 The names Alice Stern, Frieda Stern, and Herbert Stern are too common for me to be able to know with certainty whether I am looking at the right person unless I can link them to Roschen and Joseph or some other member of the family, and so far I have not be able to do so. 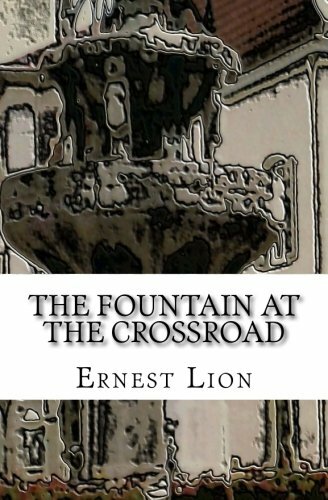 Thus, I will only write about Alfred and Edwin, both of whom ended up in the US, but not until after Hitler came to power. 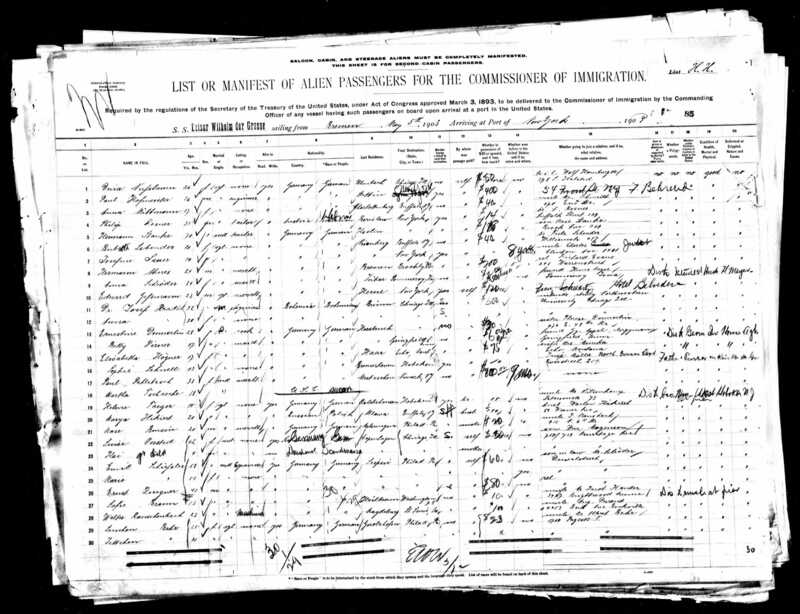 Willi Bensew, ship manifest, Year: 1885; Arrival: New York, New York; Microfilm Serial: M237, 1820-1897; Microfilm Roll: Roll 489; Line: 1; List Number: 1017.